Asha will be taking on the role of a mentor or Mahaguru in the first round of episodes of Sa re ga ma pa Challenge 2009. Asha says it is a nice feeling and she actually likes these shows, as they open up the channels for young blood to showcase their talent. She also said that dancing and singing side by side should be avoided as one cannot concentrate on singing while dancing. Yet another programme to look forward with our enchanting Diva taking a seat in the judges’ panel. This entry was posted on Saturday, July 12th, 2008 at 11:01 pm	and is filed under Flash news. You can follow any responses to this entry through the RSS 2.0 feed. You can leave a response, or trackback from your own site. Asha and Lata there are so knew very well that they stop new comer to come in bollywood when they was at top,Lata ji didn’t singed for SJ was of same reason and many more………………………………..
Can anyone help me. I am looking for a song from Vachan— Chanda mama door ke. 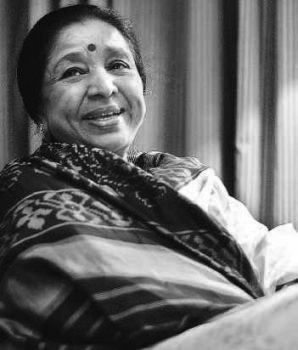 « Padmavibhushan for Asha Bhonsle!